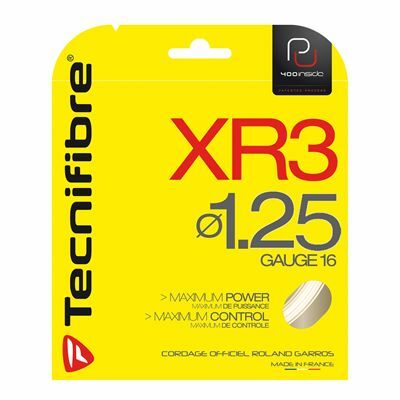 The Tecnifibre X-R3 1.25 tennis string has been designed to provide a firm feel, enhanced comfort and maximum power. 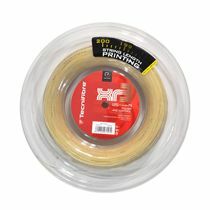 This multifilament string comprises of three monofilament cores, PU 400 inside and Elastyl fibres. The monofilament cores provide a firm feel, increased control and enhanced durability. The Elastyl fibres are used to enhance power, while the Polyurethane 400 inside provides more comfort by minimizing shock and vibration. Additionally, the string is coated with Silicone Pyrogene Lubritec that improves durability. The Tecnifibre X-R3 has a 1.25mm gauge and is available in a 12.2m (40ft.) set. for submitting product information about Tecnifibre X-R3 1.25 Tennis String Set We aim to answer all questions within 2-3 days. for submitting product information about Tecnifibre X-R3 1.25 Tennis String Set. We aim to answer all questions within 2-3 days. If you provided your name and email address, we will email you as soon as the answer is published. for submitting product review about Tecnifibre X-R3 1.25 Tennis String Set.